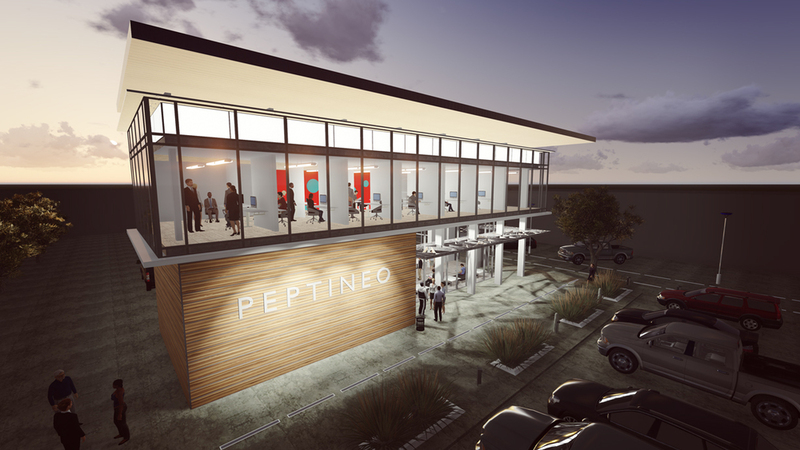 The McClain + Yu team is currently planning and creating a concept design for this Biosafety Level 2 Laboratory Facility for New Mexico-based Peptineo Inc. The security levels, accessibility levels and containment concerns are optimized through the separation of project groups from the laboratory facilities. The identity of the organization is represented by the administrative and collaboration workspace allocated to the front. Architectural elements help to secure natural daylight while providing limited visible access to the interior of the building. Meeting spaces, project work areas, secured archives are part of the administrative building. This area is separated from the actual laboratories that are planned behind the administrative core. 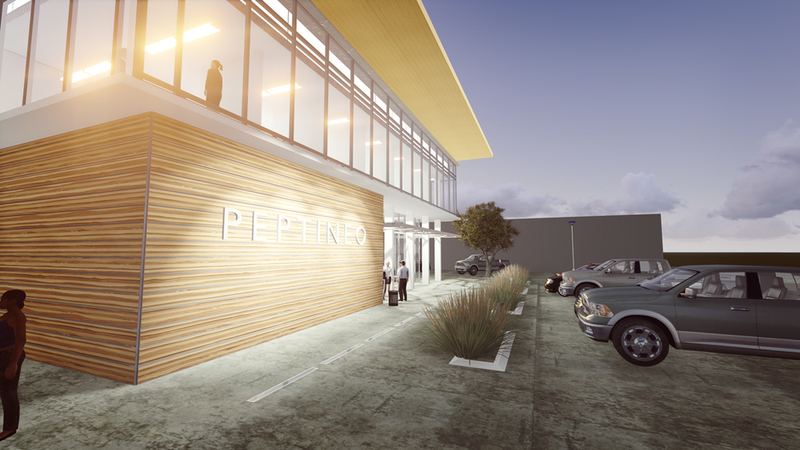 Ample inside and outside work spaces are planned, where project teams can meet in different configurations. Several sustainable building features are planned for this concept facilities to ensure high building performance.